"Attenuation in vegetation at frequencies above 1 GHz"
Polytechnic Institute of Leiria, School of Technology and Management, Portugal. "From Sentiment Analysis to Recommender Systems"
This lecture aims to give an overview on current research approaches and propagation models for attenuation in vegetation, developed within the research group on “Antennas and Propagation –Lr” of the Instituto de Telecomunicações in Portugal, along with some results and comparisons with experimental data gathered at varies frequencies, as a result of the group’s strong track record on analytical and experimental studies directed at the characterisation and modelling of vegetation media effects on propagation and radio system design, including dynamic effects. Projects by this group have contributed prediction models and measured data to the ITU-R, i.e. ITUR-P833.5, and other forums, with many publications in the open technical literature. Rafael F. S. Caldeirinha (Fellow IET and Senior Member IEEE) was born in Leiria, Portugal, in 1974. He received the BEng (Hons) degree in Electronic and Communication Engineering from the University of Glamorgan, UK, in 1997. In 2001, he was awarded a Ph.D in Radiowave Propagation by the same University for his research work in vegetation studies at frequencies from 1 to 62.4 GHz. 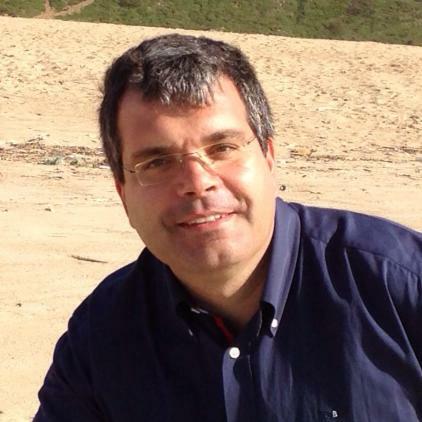 He is currently Head of the Antennas & Propagation (A&P-Lr) research group at Instituto de Telecomunicações, Leiria, Portugal, and Coordinator Professor in Mobile Communications at the School of Technology and Management (ESTG) of the Polytechnic Institute of Leiria (IPLeiria), Portugal. His research interests include studies of radiowave propagation through vegetation media, radio channel sounding and modeling and frequency selective surfaces, for applications at microwave and millimeter wave frequencies. Prof. Caldeirinha has authored or co-authored more than 100 papers in conferences and international journals and 4 contributions to ITU-R Study Group, which formed the basis of the ITU-R P.833-5 (2005) recommendation. He is Associate Editor of the IEEE Transactions on Antennas and Propagation journal; Associate Editor of the IET on Microwaves, Antennas and Propagation journal; Member of the editorial board of the International Journal of Communication Systems, IJCS (New York, Wiley); Program chair of WINSYS International Conference between 2006 and 2012; Appointed Officer for Awards and Recognitions of the IEEE Portugal section in 2014; Chair of the IEEE Portugal Joint Chapter on Antennas & Propagation - Electron Devices - Microwave Theory & Techniques since 2016; Regional Delegate of European Association for Antennas and Propagation (EurAAP) for Andorra, Portugal and Spain since March, 2017; and a Senior Member of IEEE and Fellow Member of IET. Recommender systems are widely used in order to recommend items (books, movies and so on...) according to the purchase history of the users. Beyond this so-called collaborative recommendation, several text-mining approaches deal with the content of the items (for e.g. the text that books contain) or with the reader comments about the items. The aim is to be able to determine the global opinion of the buyers as well as their sentiment about the aspects of the items (the sensor or the weight of a camera, the quality of the illustrations of a book...). During this presentation, I will focus on Social Book Search a.k.a. book recommendation and I will illustrate it on the Amazon data collection composed of 2.8 million book descriptions. Such systems combine Natural Language Processing, Information Retrieval and Machine Learning approaches. 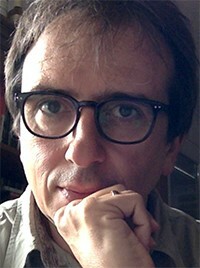 Patrice Bellot is Full Professor in Computer Science at the University of Aix-Marseille (France), in the domains of information retrieval and natural language processing. He defended his PhD in 2000 and his Habilitation à Diriger des Recherches (HDR) in 2008 about information retrieval, question-answering systems and personalized systems taking into account language disabilities. Lecturer at the University of Avignon between 2000 and 2011, he has since joined Aix-Marseille University (AMU) and the CS Lab LSIS as Full Professor. At LSIS, Patrice Bellot has been the head since its creation in 2013 of the DIMAG team "Data, Information & content Management Group". He received two Google Research Awards in digital humanities in 2011 and 2012 for research on text mining for digital librairies. His current research focuses mainly on text mining and sentiment analysis. Pedrouzo Ulloa, Alberto Procesado do sinal Fernando Pérez Glez. Ordóñez Morales, Esteban Fernando Arquitectura e servizos telemáticos Yolanda Blanco Fdez. Arriba Pérez, Francisco de Arquitectura e servizos telemáticos Manuel Caeiro Rguez. Pérez Cabo, Daniel Procesado do sinal Fernando Pérez Glez. 7. Each student will be assigned to one of the evaluation committees. This assignment is made by the CAPD. This year there will be two preparatory sessions in April and May respectively. All students must prepare a poster. The pdf file of the poster must be uploaded to the faitic server by 14:00 (CET) of Moday, June 5, 2017. DocTIC will be in charge of the printing of the poster for those students who will attend the session. Those students unable to attend the workshop will contact the DocTIC coordinator (doc_tic@uvigo.es) by Friday, May 5, 2017 explaining the reason for his/her absence. Upon acceptance, one member of the corresponding evaluation committee will contact the student in order to set up an appointment by Skype. The students will receive the instructions about how the evaluation will be conducted. These students do not have to send the slide. The advisors must upload one rubric by Moday, June 5, 2017 to the faitic server. The evaluation by the committees will take place during the poster sessions of the workshop (Thursday, June 22 and Friday, June 23). The evaluation committees will deliver the score by Friday, June 30, 2017. Those students who fail will be granted with a two-week period to correct the observed deficiencies. Final scores will be delivered to the CAPD by Monday July 17, 2017.